Two school teachers from Osceola, Florida have been fighting for the loss of their home due to termites and the battle hasn’t been an easy one. Sean and Marny Brennan had moved into the home of their dreams with their daughters and their dogs. Life was good and happy until a few months later. Engineers told the Brennans that their home was unsafe due to structural termite damage. There was a termite bond on their home and the family should have been protected; but there was fine print that said there must be live termites during an inspection for the home to be covered. Since Apex Pest Control never saw live termites, they claimed the insurance payment wasn’t warranted. In the meantime the Brennans had lost everything, they were forced to move and had to give up their dogs in order to find a safe home for their family. A home is a major investment and mortgage companies don’t care if your home is wrecked, they must be paid. Apex claimed that the Brennans could collect from their homeowners insurance; that doesn’t cover termite damage. The ruling in favor of the Brennans awards them $218,000 in damages after a lengthy lawsuit. The clause regarding live termites was thrown out and the jury would not hear about it. The home in question had been treated by Apex since 1999 and the termite bond was a $1 million dollar policy promising to repair termite damage. The takeaway from this, according to the Brennans’ attorney, is that if the company refuses to pay, don’t take their word for it. Take them to court. The fear now, for Apex and other Florida companies, is that the ruling will change how claims are paid. There is a very good reason that people should have a termite inspection once a year. Termites are not always present in your home, they must have connection with the ground and the colony. The damage, however, is unmistakable and may go undetected for years. 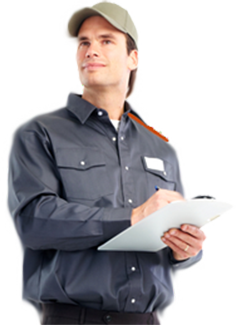 Pest control in Gilbert knows exactly what to look for and where to look. 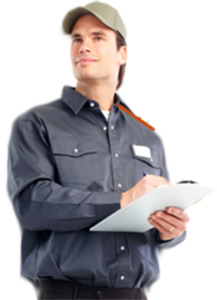 The initial termite inspection is free; so what are you waiting for? Protecting your home from termites starts with prevention and early detection.